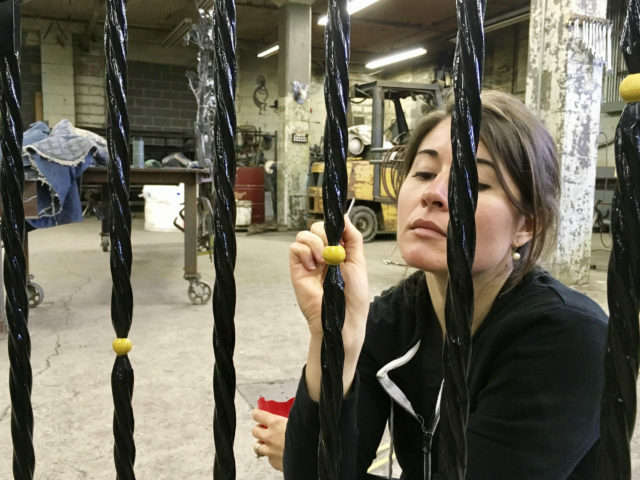 Read more about project as in its feature in the Pittsburgh Post Gazette. 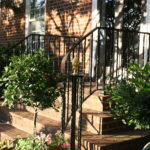 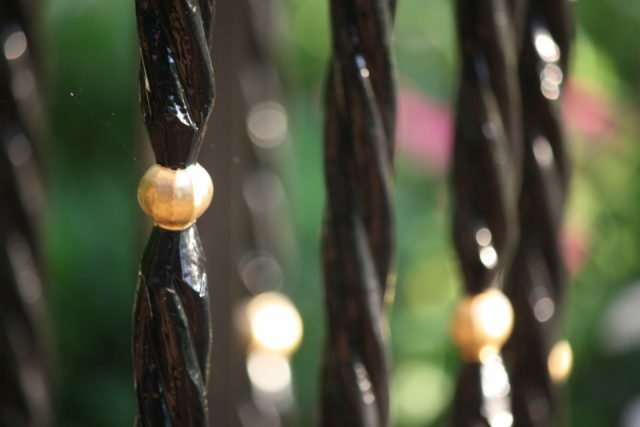 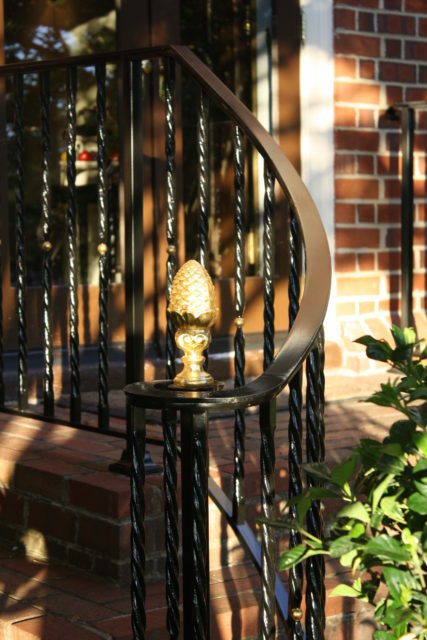 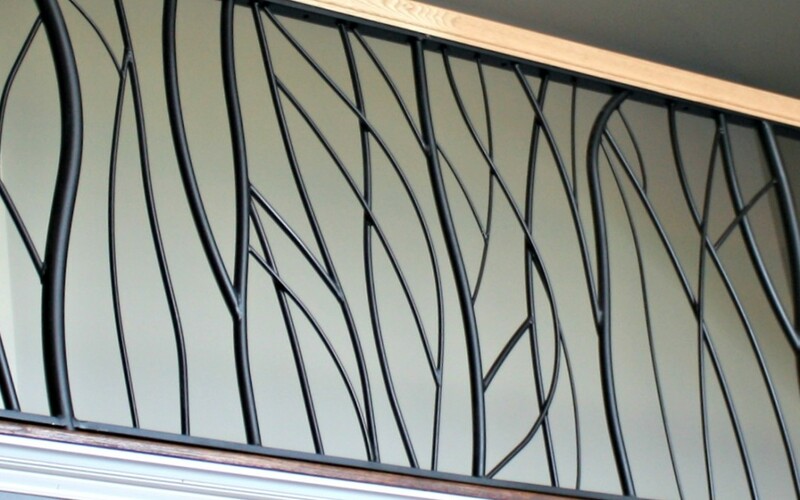 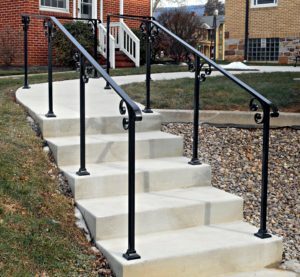 The design for these wrought iron railings is versatile in that it has elegance and simplicity. 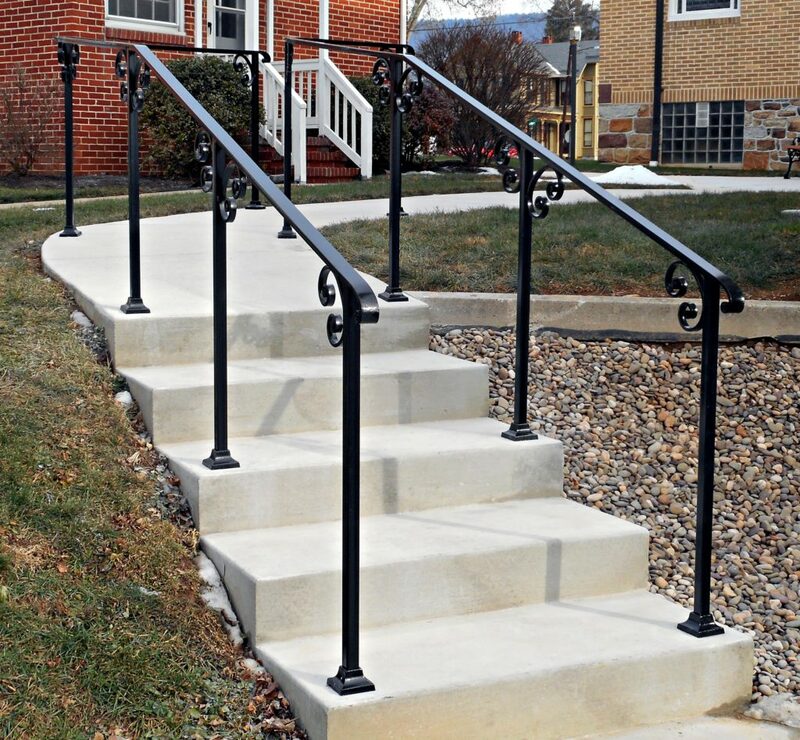 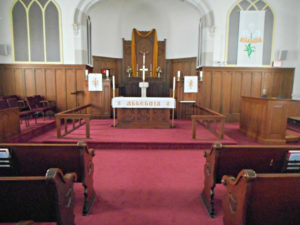 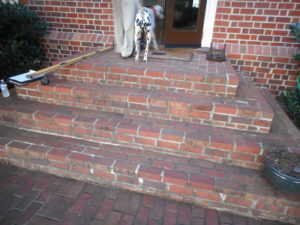 It was selected for the exterior stairs along a newly remodeled wing of a church. 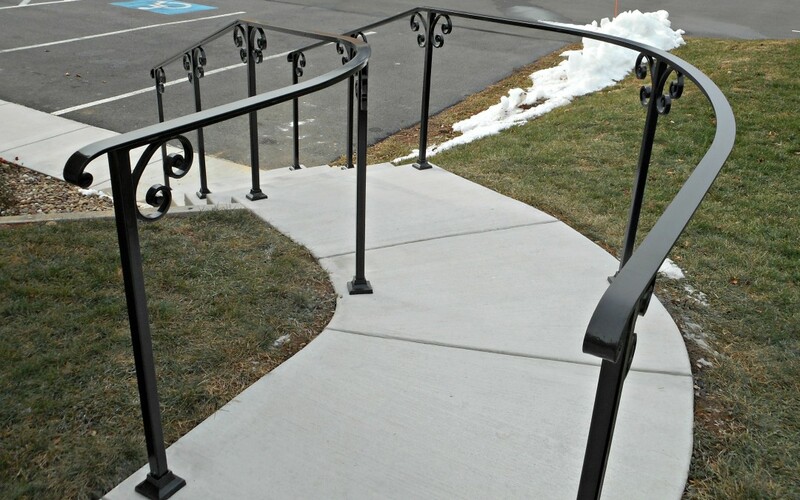 The walkway slopes as it curves and the railings required special care to create these lines. 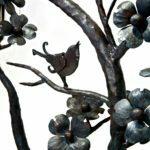 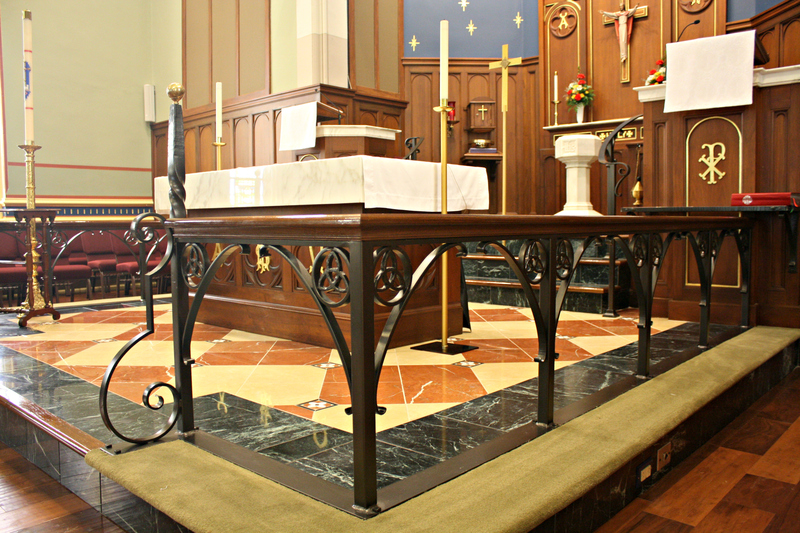 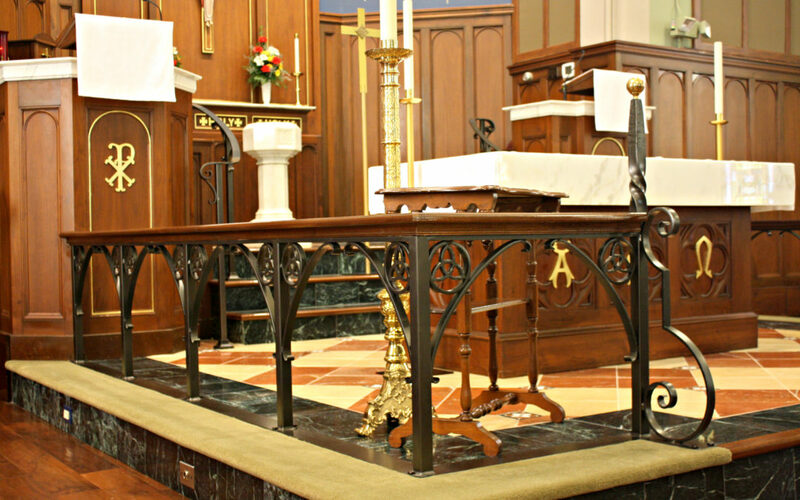 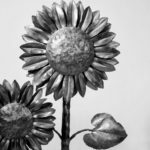 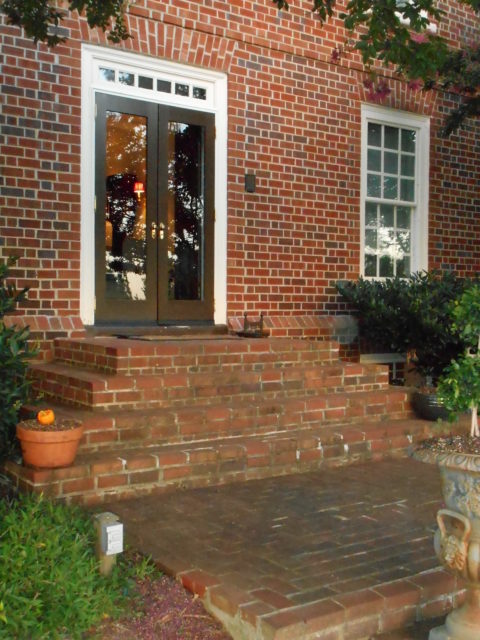 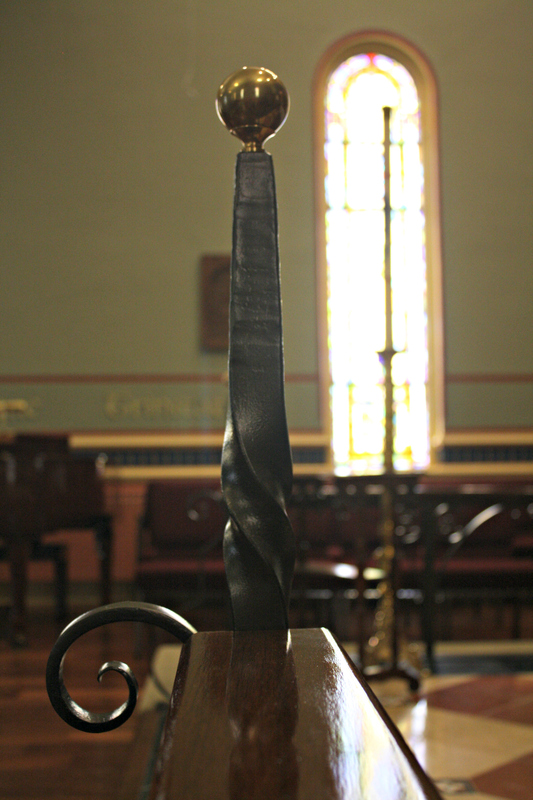 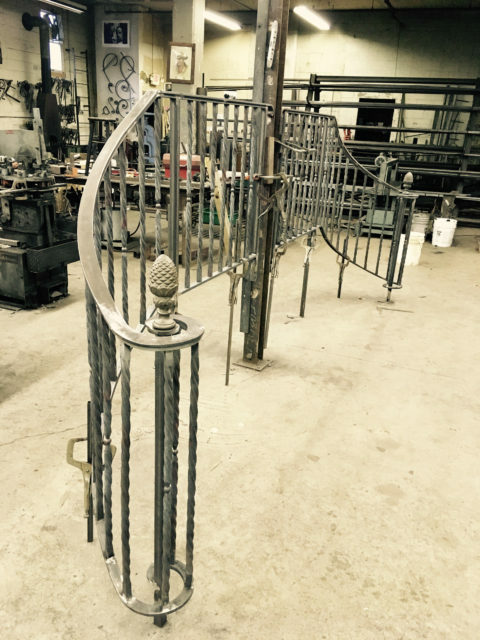 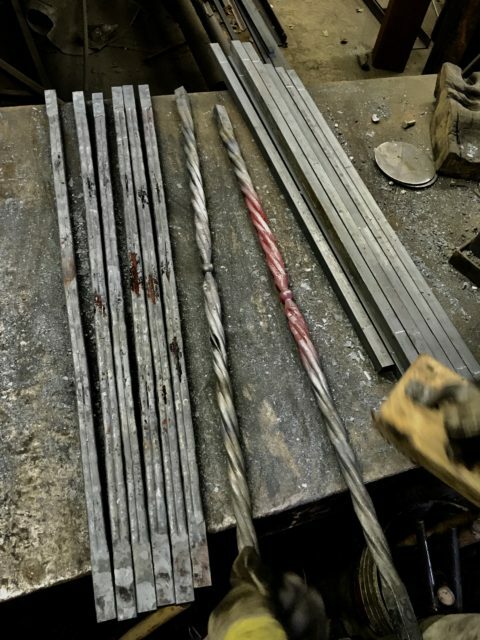 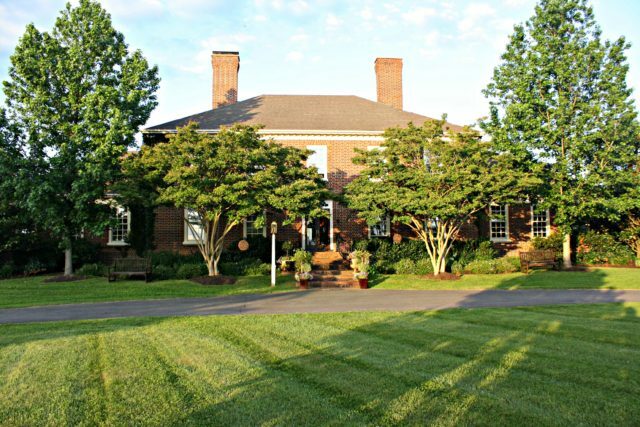 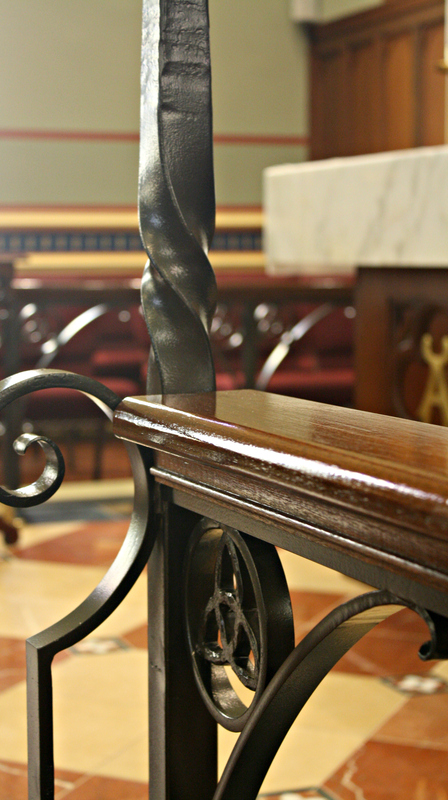 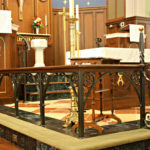 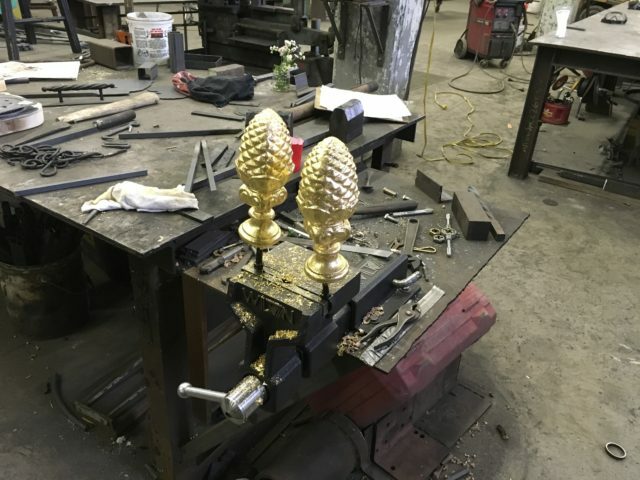 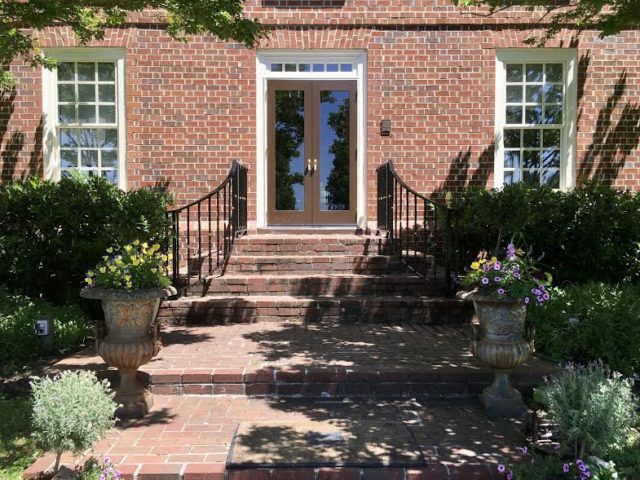 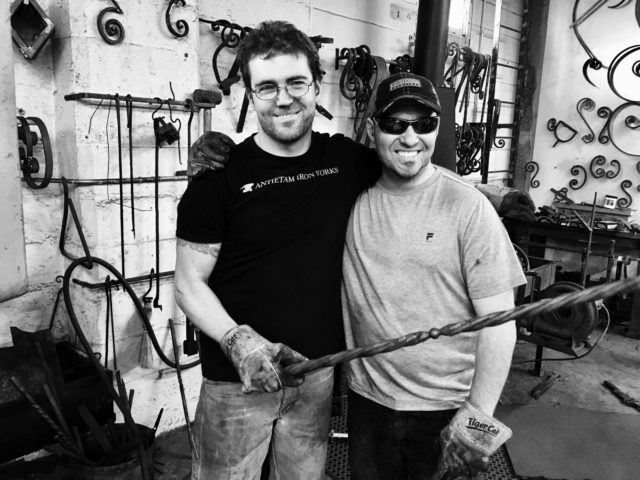 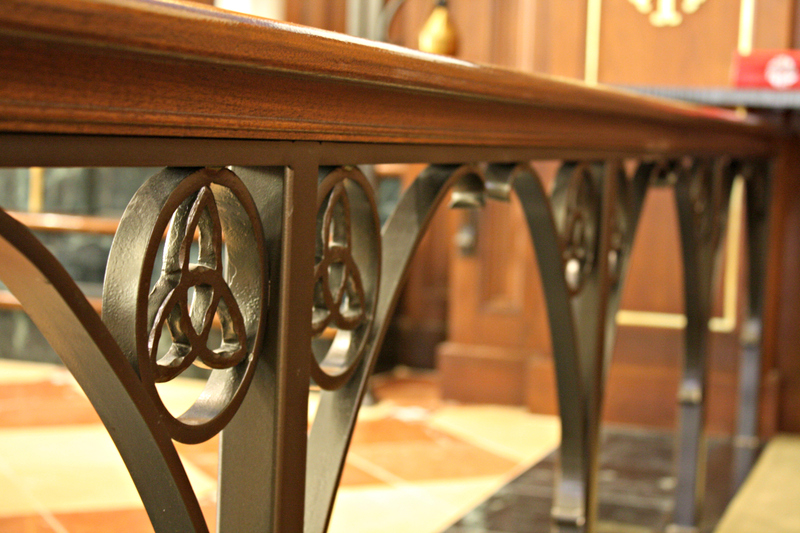 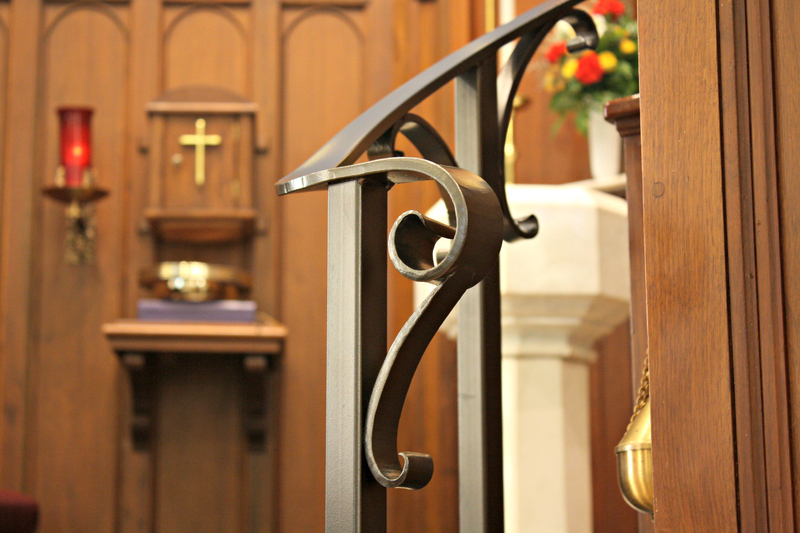 Antietam Iron Work’s expertise is creating custom iron work. 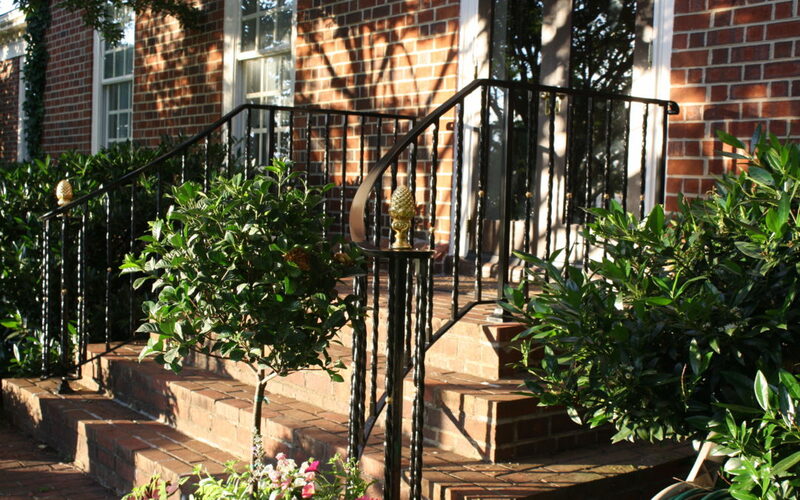 These railings provide safety and beauty for a second floor open hallway that overlooks from both sides the foyer and dining rooms of this home. 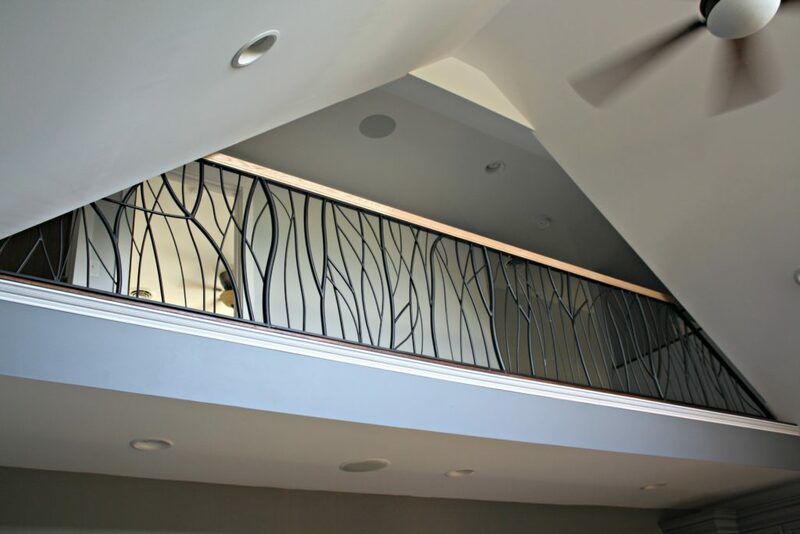 Creating a wonderful open and connected space and allowing light to travel throughout the home. 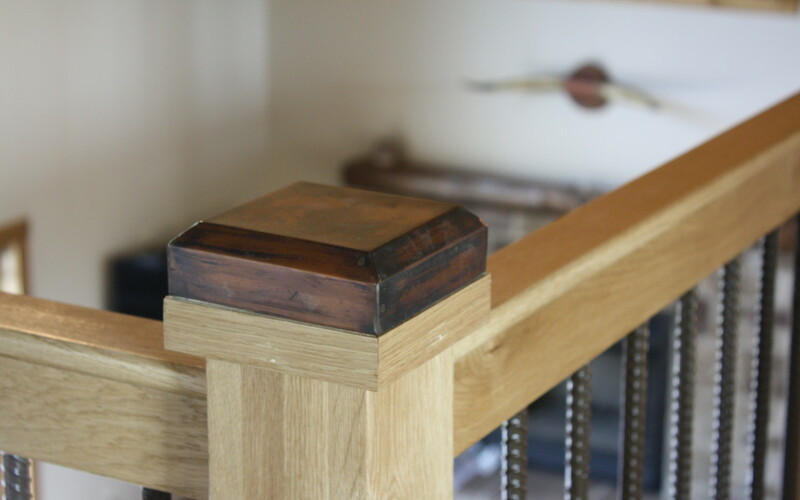 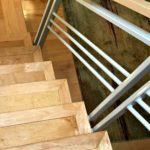 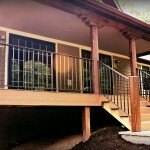 The home owner wanted a railing that would be artistic and yet have a natural feeling for his home in the Pennsylvania mountains. 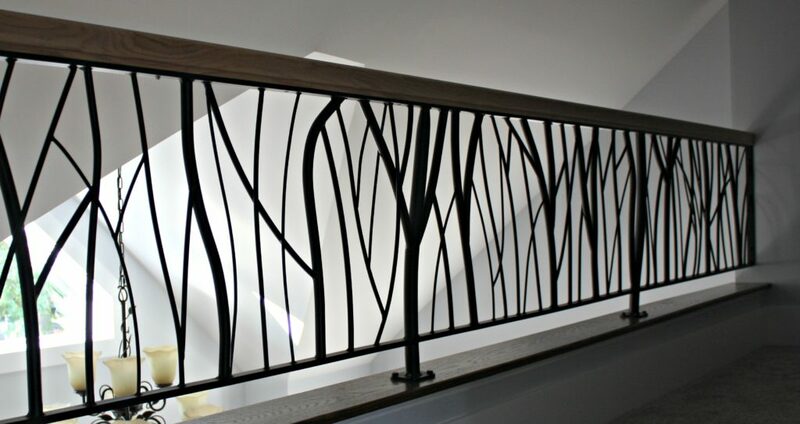 He trusted James Gunnell’s artistic eye and gave him the freedom to build these railings to create the impression of tree branches.